As per the Food and Agriculture Organization, around 25% of the food produced worldwide contains mycotoxins, which is not seen by the eye and is toxic. Mycotoxins can cause infection in both human beings and animals and thus, there arises a need mycotoxin testing. Mycotoxins, made of fungi, colonize the grains and can come in various types. There are over 400 different categories of mycotoxins. With the population expansion across the globe, the demand for food is increasing vigorously, making it mandatory to drive mycotoxin testing. However, food safety is not the only reason driving the global mycotoxin testing market. This mycotoxin testing market is also driven by the moist atmosphere which results in the production of mycotoxins in dairy products, cookies, meat and poultry products, bread, herbs, cereals, and beverages such as beer and wine. Moreover, the rising consumer awareness pertaining to the presence of mycotoxins in various food products is creating a heightened demand for mycotoxin testing. With technological advancements, there have been tests that efficiently and quickly identify the existence of mycotoxins, which is encouraging the growth of this market. The global mycotoxin testing market is challenged by the lack of infrastructure facilities and food controller systems. The shortage of mycotoxin testing equipment is also a problem. It is the developing nations, which face most of these issues. Thus, a lack of adequate infrastructure and equipment in developing nations is restraining the global mycotoxin testing market to fully bloom, as it should. However, with improvement in the economy of developing nations and advancements in technology, the impact of this restraint will reduce. Governments in these countries are implementing various regulations regarding food safety, which will help improve the condition of the mycotoxin testing market in the developing nations. Mycotoxin refers to secondary metabolites of molds, which contaminate crop plant and fruits. Mycotoxin are toxic to humans and animals alike, and may lead to several health issues. With the rising population, the need for food safety is escalating and more than 100 countries have established regulations for testing mycotoxins in food and feed before they reach the end users. Concurrently, the global mycotoxin testing market is projected for a healthy growth rate during the forecast period of 2017 to 2025. This report on global mycotoxin testing market is an all-inclusive in-depth analysis of all the factors that are expected to influence the demand over the new few years. One of the key feature of the report is the section on company profiles wherein several prominent vendors have been analyzed for their market share, product portfolio, geographical outreach, and product portfolio. The global mycotoxin testing market can be segmented on the basis of type, technology, food and feed tested, and geography. By type, the market can be divided into Aflatoxins, Fusarium toxins, Ochratoxins, Patulin, and others including alternaria, Citrinin, Ergot Alkaloids, sterigmatocystin, and cyclopiazonic acid. By technology, the market can be segmented into LC-MC/GC-MS- based, immunoassay-based/ELISA, HPCL-based, and others such as test kits. The food tested for mycotoxins can be categorized into cereals, grains, and pulses, dairy products, meat and poultry, processed food, nut, seed, and spice, and others including fruits and vegetables and food additives. Feed mycotoxins are divided into cereals and its products, oil meals and cakes, forage and silage, and other feed ingredients and concentrates. Geographically, the report studies the opportunities available in the regions of North America, Europe, Asia Pacific, and Rest of the World. This mycotoxin testing market is primarily driven by stringent food safety regulations across several countries. Humid atmospheric conditions, which leading to an increase in mycotoxins production in food & feed products is another prominent factor augmenting the demand for mycotoxin testing. Additionally, incremented International trade, consumer complaints, and growing health concern among consumers are some of the other factors expected to positively influence the market during the forecast period. 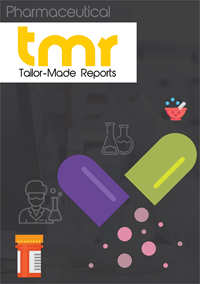 The mycotoxin testing market report observes that among all types of mycotoxins, the demand for fusarium toxin is maximum. The Fusarium genus have various species, which produce a large number of toxins such as trichothecenes, fumonisins, and zearalenone. As fusarium toxin are commonly present in cereals and by-products, factors such as contamination in grain due to changing climatic conditions and the increase in commodities trade have grown into significant drivers for the Fusarium testing market. Among all technologies used for mycotoxin testing, HPLC is most common as it is economical technology and is helpful to detect and quantify mycotoxins in food products. Currently, North America and Europe serve the maximum demand for mycotoxin, owing to strict regulatory in the countries of the U.S., the U.K. Germany, and France. The U.K. is estimated for the best growth rate among the European countries during the forecast period. However, Asia Pacific, which resides nearly half the world’s population, is expected to escalate the demand for mycotoxin testing over the course of next few years. Some of the key vendors in global mycotoxin testing market are SGS S.A., Bureau Veritas S.A., Eurofins Scientific SE, Intertek Group plc, ALS Limited, AsureQuality Ltd, Microbac Laboratories Inc, Silliker Inc, Romer Labs Diagnostic GmbH, and Symbio Laboratories.